The ICSA, founded in 1985, is a network of scholars and communitarians that gathers every three years, usually on the site of a contemporary intentional community. Recent hosts include Tamera, Findhorn, Emek Yizrael, Damanhur, and ZEGG. The 2019 host communities are part of the Camphill movement, an international network of schools, villages, and urban households where people with and without intellectual disabilities create life together. Most Camphill communities host biodynamic farms or other environmental initiatives. Our thirteenth international conference will explore strategies that intentional communities use to promote the inclusion and empowerment of persons of diverse abilities, cultures, races, economic backgrounds, religions, ages, genders, and sexualities. We especially welcome proposals related to intentional communities and community movements that focus on the experiences of particular groups that have historically been marginalized—as, for example, the Camphill movement does for persons with intellectual disabilities. What can the field of communal studies learn from the unique experiences of such communities? We also especially welcome proposals that explore the implications of community choices that seek to increase or to limit diversity. How have communities succeeded or failed in their efforts to increase diversity or strengthen inclusion? Under what circumstances is it appropriate or necessary for an intentional community to limit certain forms of diversity? What is the relationship between the mere presence of previously excluded persons in a community, and the full inclusion and empowerment of those persons? 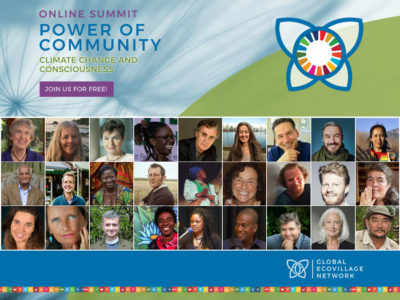 What lessons might intentional communities share with other persons and organizations committed to diversity, inclusion, and empowerment? We welcome proposals in the following categories: 1) scholarly papers, 2) scholarly panels with 2-4 presenters, 3) workshops, and 4) cultural events. Scholarly papers should be designed to take thirty minutes (ordinarily, 20 minutes for presentation and 10 minutes for conversation); panels, workshops and cultural events should be designed to take one hour. If the conference schedule allows, we may be able to expand these times slightly. Cultural events, which may be either interactive classes or performances, should be explicitly designed to be accessible to persons with intellectual and/or physical disabilities. We welcome proposals that use Open Space, World Café, Universal Design for Learning, or similar methods to promote inclusion and active participation. As always, we are happy to receive proposals on subjects unrelated to the conference theme, so long as they are relevant to the study of intentional communities. To submit a proposal, please email your proposal to conference chair Dan McKanan at [email protected] or upload a single proposal document to the ICSA website at http://www.communa.org.il/icsa/index.php/conferences/camphill-2019/call-for-papers . Please include 1) the title of your presentation, 2) an indication of whether it is a paper, panel, workshop, or cultural event, 3) the names and cont act information of all presenters, 4) an abstract of up to 300 words, suitable for inclusion in the program book, 6) a 50-word biography of each presenter. Individuals who submit proposals by November 1, 2018 will receive a notification of acceptance or rejection by January 15, 2019. I am a communal studies scholar, with particular interest in the Camphill and Catholic Worker movements. I teach at Harvard Divinity School, and currently serve as board chair of the International Communal Studies Association.